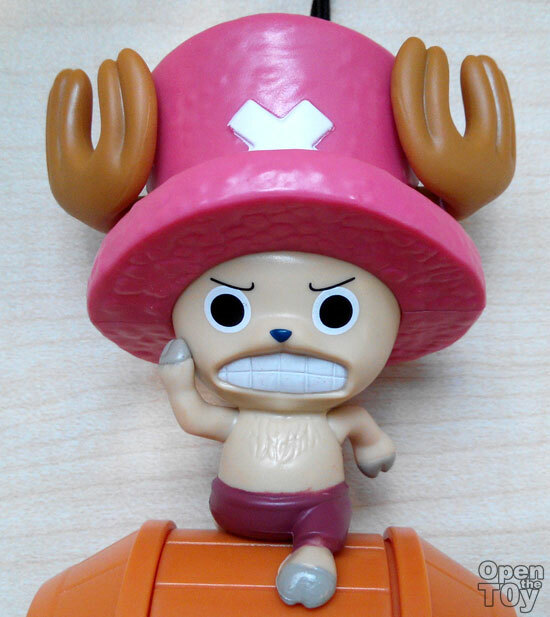 One of the most popular character than many go crazy with would be Chopper. 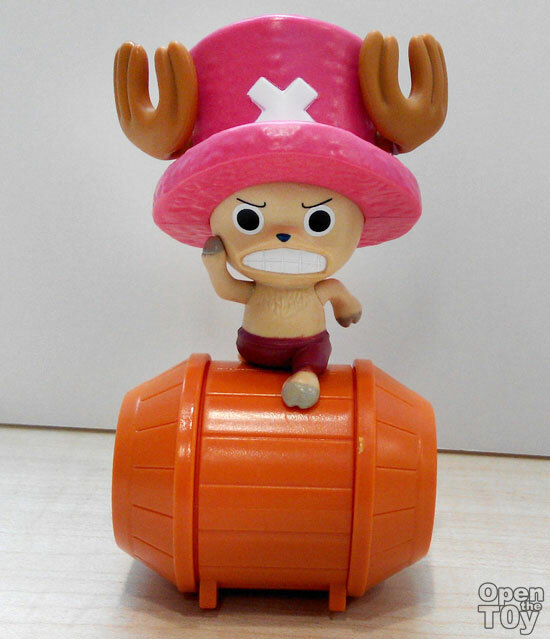 A character that spin off various product appealing to man and woman....okay more to the ladies as Chopper is cute. 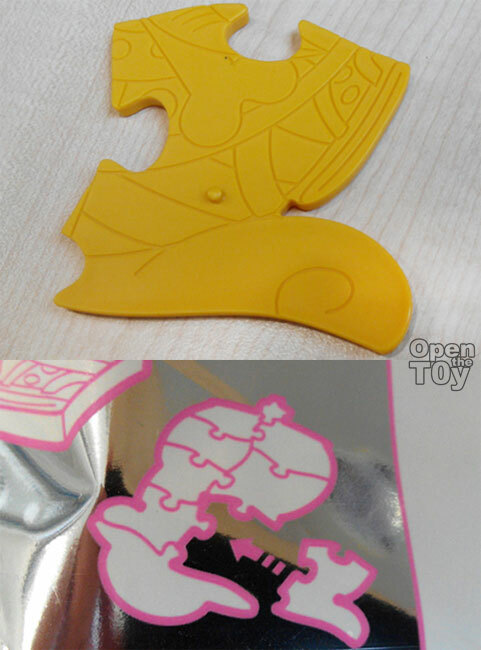 And McDonald did not disappoint us with the cute Chopper in this series. Chopper like the rest have it own base and he got a big lot and more to the front. 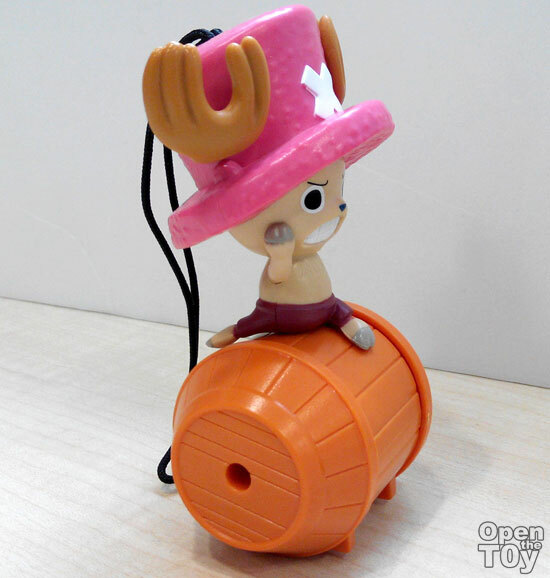 This Chopper was given a stress expression balancing and running on a barrel. 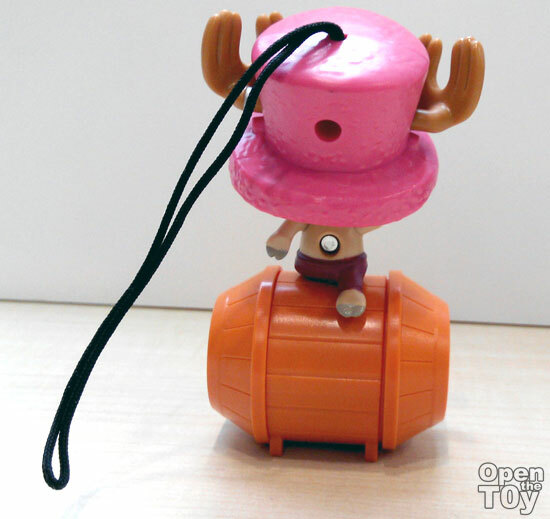 As a toy figure, you can actually roll the barrel with Chopper standing still. At the back of Chopper, you can see he is more of resting on the barrel than running. 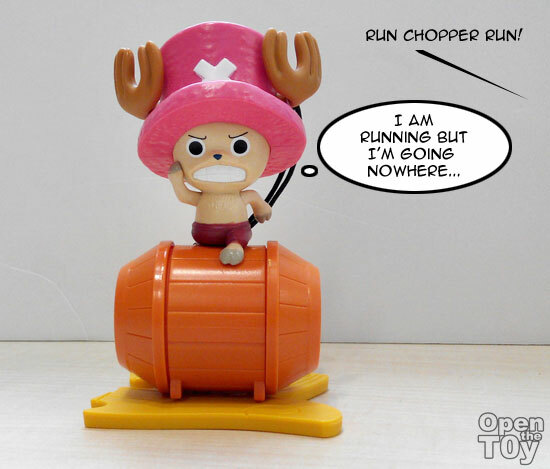 A closed up for Chopper helpless expression like "Why is this happening to me?". 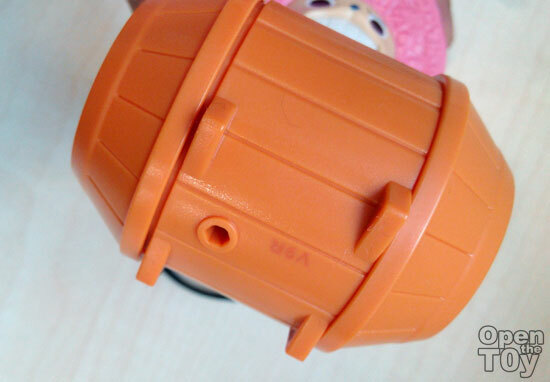 If you are wondering how this barrel actually roll, it is because the two side barrel circle is like a wheel while the center is stationary. Smart design. Here's a close up from the bottom that they put 4 peg on the base to keep it in place. There is a hole for the base to be connected and secure it. 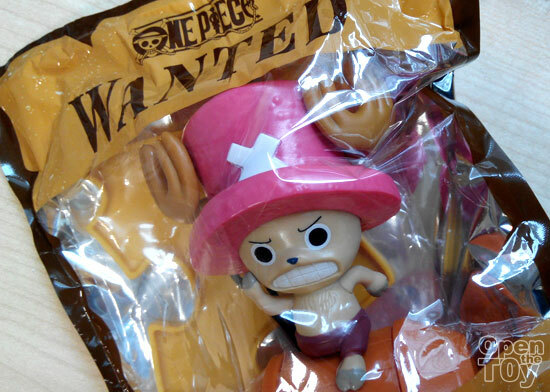 I was hoping they give a more happy or cute expression for Chopper. Nonetheless Chopper still have his charm to his faithful follower. Many will go for him. It always remind me of Christmas...oh it is coming soon too Christmas! 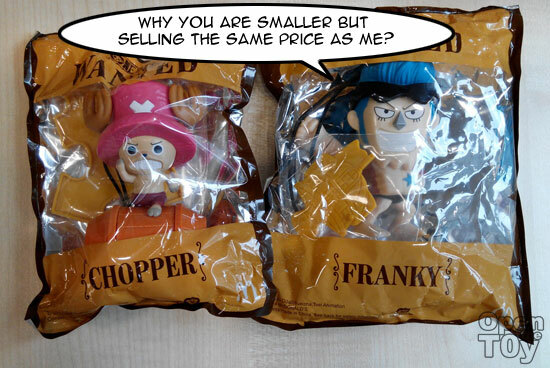 Are you a Chopper fan?